What’s all the Hoopla About Government Bond Yields?! Unless you’ve been too busy reading about the new Apple MacBook Pro, then you should know that major central banks and many market players are now looking at government bond yields. The BOJ has recently launched its “QQE with Yield Curve Control,” the BOE is back to buying the U.K. gilts, and the rocketing of U.S. and German Bund yields have been gaining attention. What’s up with that?! But first, what are government bonds? Government bonds are “IOUs” issued by governments. They promise to not only pay the principal back at a predetermined date, but also pay periodic interest payments. Longer-term bonds generally have higher rates than shorter-term ones because it’s more difficult to predict long-term economic trends. 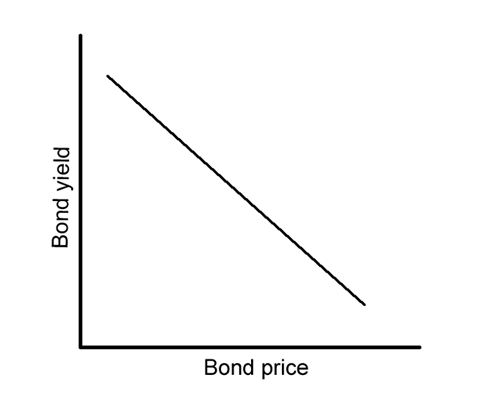 A Bond yield refers to the interest rate to the bondholder, while bond prices dictate the amount potential bondholders have to pay for a right to these bonds. Also note that bond yields and prices are INVERSELY correlated. That is, a higher demand would result to higher prices and lower yields, while a lower demand would drag on the prices and would need higher rates to attract investors. Government bonds are considered “safe” investments since governments can usually just print more money to satisfy their debts. Generally, the primary “risk” is locking in a bond yield that’s lower than the inflation rate. In yield-less days like these, however, investors are willing to buy bonds with low (or even negative) yields in the hopes that bond prices will rise faster than inflation does. And since inflation in economies like Japan and the euro zone aren’t likely to shoot up anytime soon, this strategy is a pretty solid one in our current situation. So why are central banks aiming for low bond yields? Remember that central banks want businesses and consumers to spend their money and eventually boost overall consumer prices. This won’t happen if they park their money in “safe” government bonds. Buying government bonds would create artificial demand, effectively lowering its yield and hopefully forcing yield junkies into buying riskier assets. Not only that, but lower yields would also lessen the demand for the local currency, making the country’s exports a bit more competitive. This is why major central banks usually include purchasing government bonds as part of their stimulus programs. Not in this universe or any alternate ones. Central banks simply can’t keep buying government bonds forever. The BOJ, for example, is already holding more than one-third of the outstanding Japanese government bonds (JGBs), while the European Central Bank has been buying so many European government bonds for so long and it’s already lowering its standards so it could buy more! Fostering ultra-low bond yields for long periods of time also creates market imbalances. Already, the assets that benefited from low government bond yields are in danger of being in bubble territory as investors push their prices higher than they’re worth. Banks and financial institutions that no longer profit from high bond yields could also pass on their burdens to businesses and consumers and further limit economic activity. Going cold turkey on government bond purchases isn’t an option either. Not only will this make government borrowing more expensive, but reluctant risk-takers will also flock back to government bonds and reduce the demand for riskier assets. More importantly, so many market players are already exposed to the low bond yield environment that the additional income from a surge in bond yields would not compensate for the loss in capital investors would see in a drop of bond prices. In fact, Goldman Sachs recently estimated that even a 1% increase in Treasury yields would lead to a $1 trillion loss in the bond markets. That’s higher than the realized losses in the 2008 financial crisis! The challenge for central banks is to slowly ease their government bond purchases without causing sudden increases in bond yields, all while still boosting the economy in one way or another. In short, they must taper their purchases but communicate to market players that tapering is NOT equivalent to tightening. The BOJ is attempting to do this by adopting its “QQE with Yield Curve Control” program wherein it pledges to keep its 10-year bond yields at 0.0% to control the negative effects of having a positive and negative yield. The BOE is also balancing its return to asset purchasing with more targeted programs like the Term Funding Scheme, and the Fed is pacing its interest rate hikes to control the “tightening” vibe in the markets. The ECB is still trying to find its balance though, as it recently bought more government bonds last week than it has since May after speculation that Draghi and his gang have talked about tapering their purchases. With interest rates (and now government bond purchases) pushed to their limits, the major central banks would have to find other ways to stimulate the economy. How about you? Do you think the central banks just aren’t creative enough with their programs? Or is monetary policy simply reaching its limits for many economies?